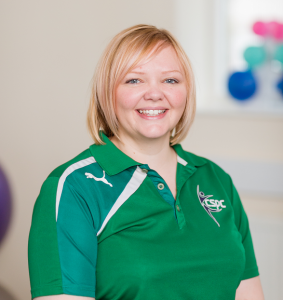 Since qualifying as a Physiotherapist in 2005 I have been able to gain a broad range of experience treating a variety of conditions. Whilst initially working within the NHS after qualification I was able to gain invaluable experience of treating patients with neurological, respiratory and complex orthopaedic problems as well as treating patients with musculoskeletal conditions. I began work with a semi-professional rugby club in 2006 where my role included providing pitch-side management of traumatic injuries as well as providing assessment and progressive rehabilitation for players to make a timely return to sport. I was later offered the opportunity to work with the Scottish Rugby Union and began to work with their Elite Player Development Programme where I liaise closely with players, performance coaches and strength and conditioning coaches to optimise player performance at the same time as addressing any injury or rehabilitation needs. I enjoy the opportunity this provides to educate players and coaches to promote awareness of injury management and prevention. As a keen spectator of motor-sport one of the highlights of my career to date has been the opportunity to join the medical team working with British Superbikes (who are sponsored and supported by the CJ Riders Fund). As part of the medical team I provide treatment and advice to motorcycle and sidecar racers at Britsh Superbike meetings throughout the season. The volume of work can be very high and injuries are often very acute with only a short period of time to provide treatment to give the rider symptomatic relief. This has allowed me to continue to develop my treatment skills and techniques in what can sometimes be an intense working environment and with a world class team of medical staff. Outside of work as well as enjoying motor-sport I also enjoy using the gym for cardio/ strength training, and have recently started jogging (following assessment and advice from some of my colleagues at the CSPC), although as yet I do not expect to be completing marathons!